﻿ Riquelme: "Cristiano Ronaldo is the best, but only in PlayStation"
27.11.2011» Riquelme: "Cristiano Ronaldo is the best, but only in PlayStation"
Boca Juniors midfielder, Juan Román Riquelme, is a confessed fan of Barcelona's Lionel Messi, who he regards as the best player in the World. 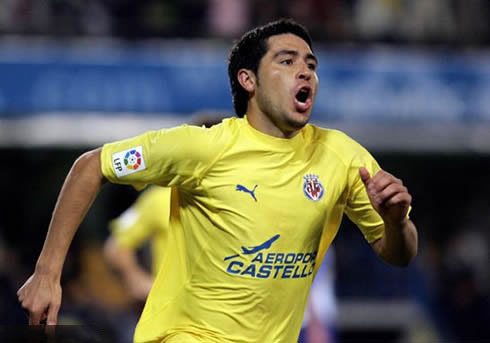 Riquelme also revealed his toughts on the Portuguese star, Cristiano Ronaldo, who he ranks as the best player we could pick, if we were playing PlayStation. 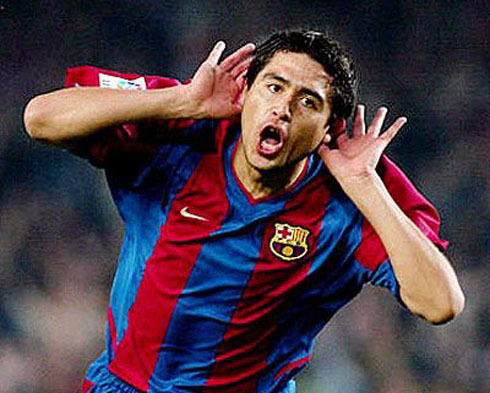 Barcelona's former player, Juan Román Riquelme, granted an interview to the Argentinian daily newspaper "Olé" just a few days ago and after claiming that his countryman, Lionel Messi, is the best player in the World, he referred to Cristiano Ronaldo also as the best player, but only in PlayStation. The 33-years old playmaker, currently plays for Boca Juniors (since 2008), after having played in Spain between 2002 and 2008, in a period where he represented both Barcelona and Villarreal. 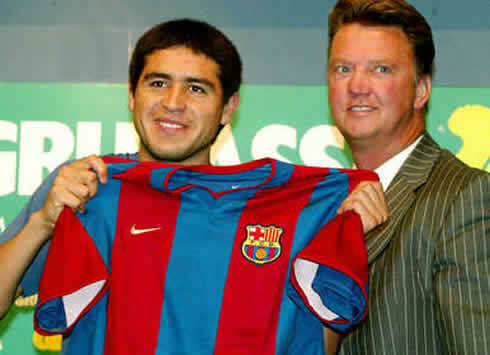 As mentioned, Juan Román Riquelme career includes a 1-year adventure in Barcelona, a club on which the Argentinian failed to impose with his football. 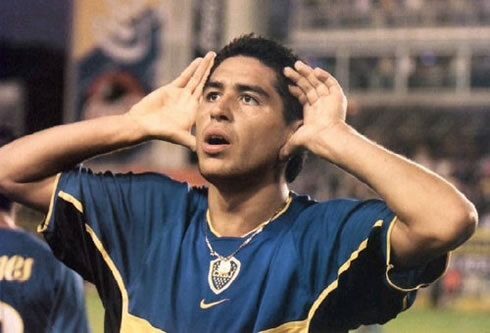 Riquelme scored 3 goals out of 30 games in that single season (2002-03), but then joined Villarreal and had 106 appearences in the following 4 seasons, from which he scored 36 goals. 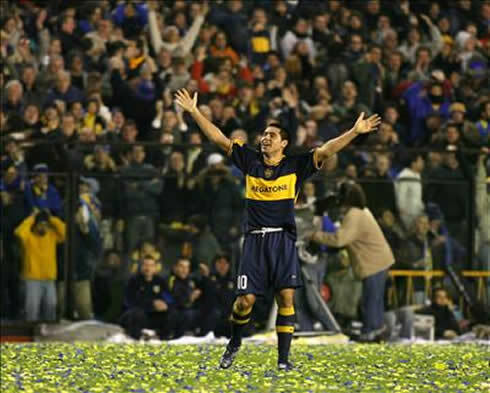 Riquelme's career will always be inevitably linked to that last minute penalty-kick miss, against Arsenal, in the UEFA Champions League semi-final, during the 2005-2006 season. Arsenal's goalkeeper, Jens Lehmann, stopped the Argentinian strike and allowed the English club to reach their first UEFA Champions League final, which they would end by losing against Barcelona, by 2-1. As an experienced player that Riquelme is, he approached the Lionel Messi & Cristiano Ronaldo debate, stating that he sticks with his countryman, even though he assumes that the Portuguese player is a more complete player and a best choice if we were playing a video game in the PlayStation. 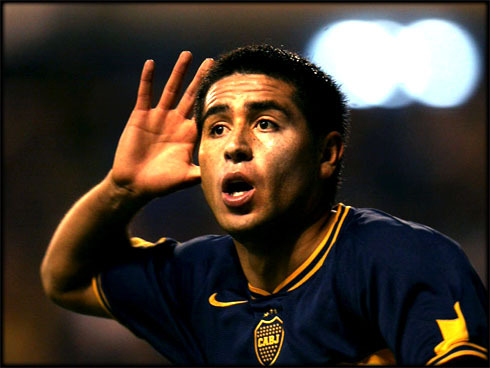 Juan Román Riquelme: "Messi is Argentinian and he is the best player in the World. But Cristiano Ronaldo is the most complete athlete out there and he would be the best if we were playing PlayStation. However, if we have to choose a player who really understands the game, we would go for Andrés Iniesta, since he's someone who always knows the best decision to take: when to slow down, when to speed up the tempo, pass the ball backwards, etc." Real Madrid next match is against Sporting Gijon, for "La Liga" in the 3rd of December. In the meanwhile, this Tuesday you can watch Chelsea vs Liverpool and Arsenal vs Manchester City for the Carling Cup and Barcelona vs Rayo Vallecano for the Spanish League "La Liga". They are all available from our soccer live streams section.